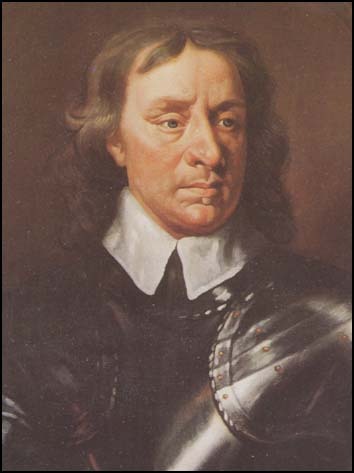 Legend asserts that when the seventeenth century English political and military leader Oliver Cromwell sat before the painter Sir Peter Lely for a portrait, Cromwell declared, “Paint me as I am, warts and all!” Although the actual source and exact wording of this quote remains in dispute, the sentiment is particularly relevant to the study of history. Years ago, my college history professor used this anecdote in a class to describe how one should study the past, with a “warts and all” approach to the subject. History unfolds full of contradictions, and those contradictions make the study of history compelling. I consider John Sevier a compelling subject for the same reason that I find history compelling. Sevier’s story is one of contradictions. On the one hand, he rose to prominence as a legend on the frontier and a hero of the American Revolution. He demonstrated political savvy, guiding Tennessee to statehood and becoming its first governor after once failing to carve the State of Franklin from the foothills of the Smoky Mountains. Even in his twilight years, Sevier felt compelled to serve his country in the backwoods where he made his reputation as a fearless Indian fighter many years earlier. He died in relative obscurity in the woods of Alabama, only to have his legend resurrected generations later by those who believed his life’s exploits worthy of honor and recognition. On the other hand, Sevier was human, and his actions revealed a man less than perfect. He encroached on Native American lands and led armies in the slaughter of hundreds of people in his drive to claim the western edge of the Appalachians. He found himself accused of treason in his effort to create the State of Franklin against the wishes of his mother state. One could further argue that Sevier provoked Andrew Jackson into a duel by insulting his wife, then behaved like a coward in the face of threats of retaliation, and actually feared Jackson to such an extent that “Old Hickory” invaded his dreams. As I began writing about Sevier for my blog, I wanted to explore these contradictions. I aspired to understand the true character of Sevier, “warts and all.” I received largely positive feedback from readers, with only a few exceptions. One particular reader—an apparent descendant of Sevier—took me to task, and in a barrage of angry emails accused me of being interested in making too much of the “bad things” that Sevier did. This reader questioned my “motive for doing so” and accused me of using history to further a “particular ideological agenda.” Another Sevier descendant took to the Internet and posted a lengthy diatribe against my research, challenged my professional integrity, and accused me of a “smear campaign against Sevier” among several other libelous words unfit to publish. In Tennessee, passions for Sevier have transcended the generations, and these exchanges certainly proved that. Initially, I felt confused by these attempts at clairvoyance. I certainly held no personal animosity towards Sevier nor maintained any ideological agenda. In fact, even though I am not a descendant of Sevier, as a native Tennessean I sense a kind of civic kinship to him. His history is my history. I wrote about Sevier to satisfy a curiosity about the history of my home state. No other motive existed. How one could ascertain my motives beyond that remains a complete mystery. As I began to consider the larger question of how the public views and interprets history, I read between the lines of the aforementioned online exchange and recognized a need to explore this subject in greater detail. To understand the cultural and generational shifts of the present, we sometimes reach into the past for answers from America’s heroes. In the process, we often place these heroes on an unreachable pedestal where they no longer resemble one of us. They become nothing short of gods to be worshiped, honored and revered. The chroniclers of Sevier’s life, men like John Haywood, J. G. M. Ramsey, Lyman Draper, James Gilmore, and Carl Driver, envisioned Sevier as a heroic figure. They believed it their mission to “rescue from oblivion” the memory of Sevier’s accomplishments, and heaped effusive praise on "Nolichucky Jack" in their writings, with nearly no reference to Sevier's flaws. These chroniclers consisted mostly of lawyers, antiquarians and admirers of Sevier, with little or no training in the study of history. Thus, their narratives did little to place Sevier within the context of his times. Instead, their writings reflected the times in which these chroniclers lived. During the late nineteenth and early twentieth century, patriotism and virtue often took precedent over critical historical analysis. This series of blog posts is about these chroniclers as much as it is about John Sevier himself. If you take the time to read these narratives deeply enough, you will realize, as I did, that they are in many respects a reflection of us, and how history has shaped our opinions and our attitudes throughout the generations. 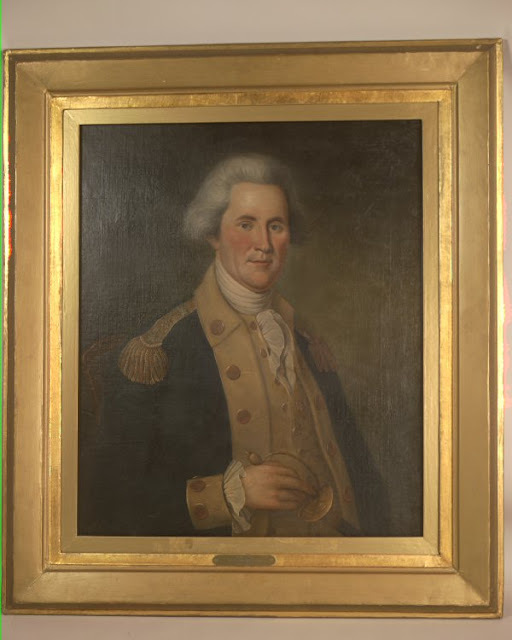 In 1790, John Sevier sat for this portrait by Charles Willson Peale (1741-1827), one of the foremost portrait artists of the early republic. This portrait is on display at the Tennessee State Museum. As a public historian with more than two decades of experience researching and interpreting Tennessee's rich and storied history, at various times in my career working in archives and special collections repositories I've helped guide family members through the records of our past to aid them in their search for their ancestors. I have a great deal of respect for those who wish to honor their family's heritage in this way. But hero worship betrays the ancestors who inspire us. I certainly do not want to give readers the impression that all Sevier descendants hold this hagiographic point of view. During my book tour and in other encounters, I've had wonderful conversations with family members and my exchanges with them have been extraordinarily affirming and informative. During one book signing, after having read my book one Sevier descendant said to me, paraphrasing, "I wish you hadn't written that anecdote about my ancestor, but I understand why you did. You can't ignore history." I'm pleased that this blog and my book have provoked thoughtful questions and dialogue, bringing renewed attention to this long-neglected historical figure. Constructive criticism is also part of the territory I'm traveling, and I welcome those critiques as well. No scholar is immune to a civil disagreement over historical interpretation. But irrational comments bordering on harassment say more about that particular individual than any historical analysis I've written or uttered in the past. They're not worthy of a reply. John Sevier is an important figure in the early history of Tennessee and deserves further recognition and study. A better way to honor Sevier's legacy, in my opinion, is to reflect on both his accomplishments and his failures. I cannot view history through rose-colored glasses. I would rather know the truth of what happened in the past, and learn from it. That is my motive, "warts and all." EDITOR'S NOTE: This blog post has been edited since it was originally published in 2011, reflecting current conversations surrounding my book which published in 2014.